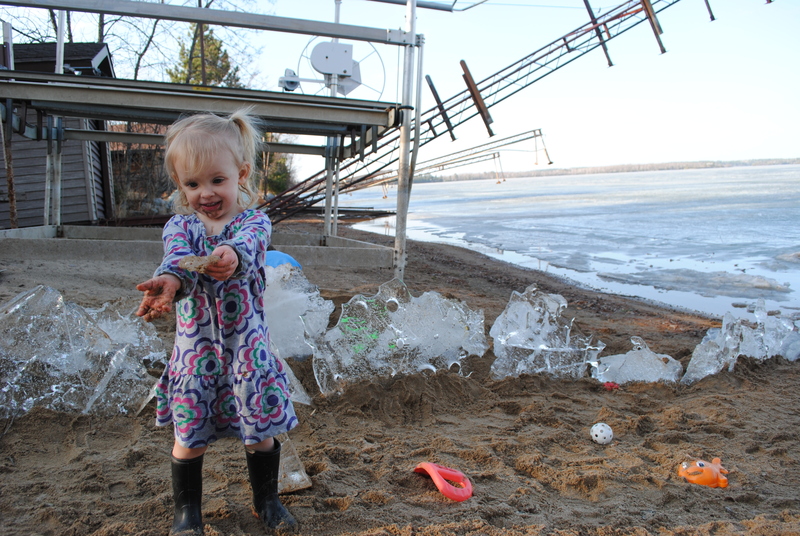 This was happened about 6 weeks ago but I just have to share some of the pictures. 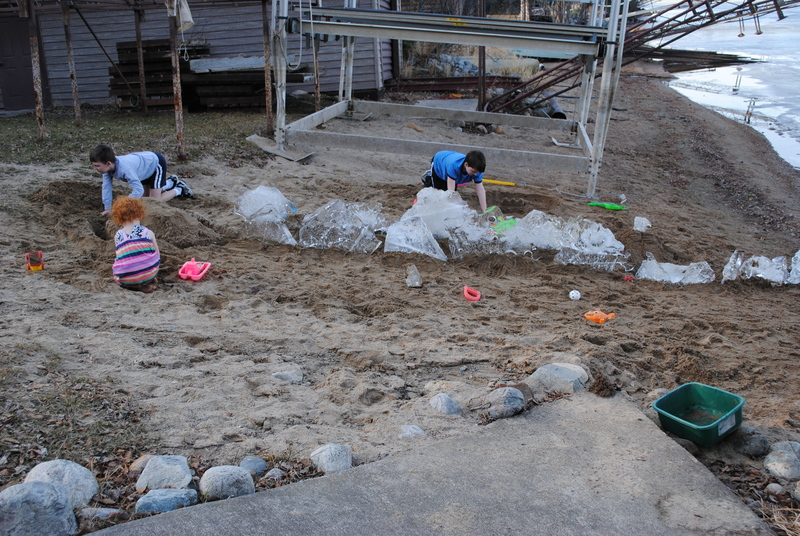 We built sand castles with ice chunks that were seperating off Lake Vermilion. 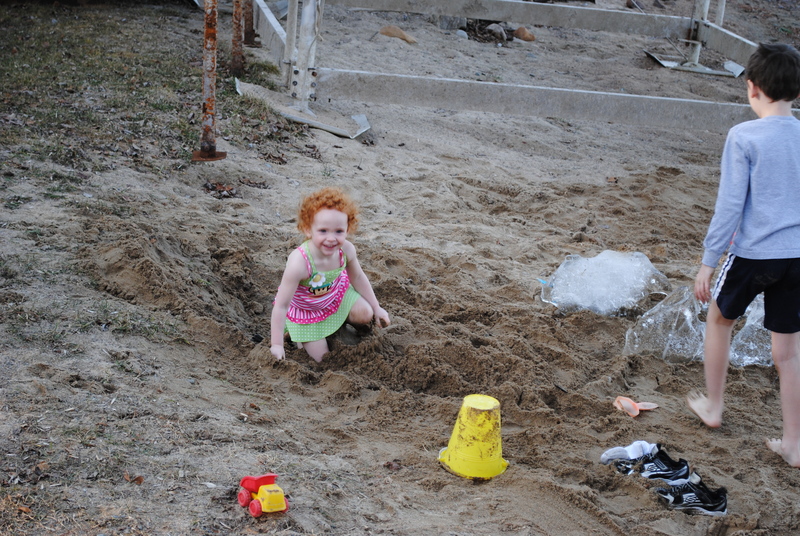 It was around Saint Patty’s Day when the weather was alarmingly beautiful and warm. 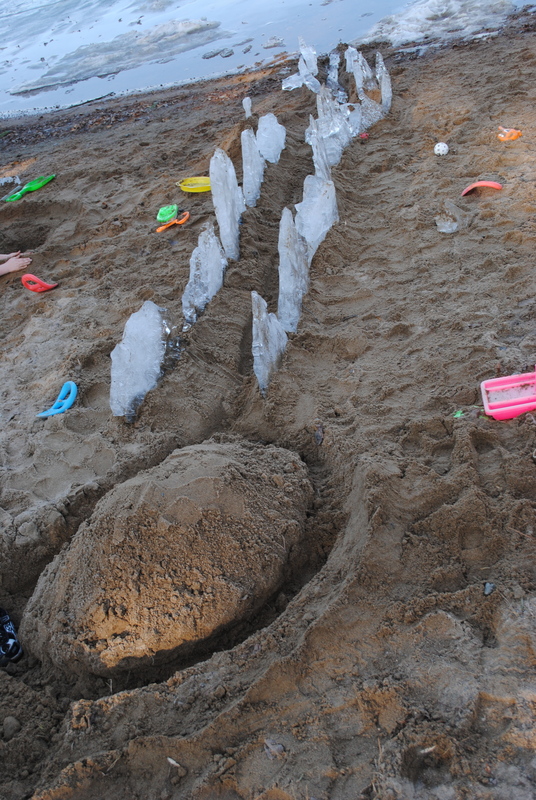 Aleah was walking around in her swimsuit and we were building sand and ice castles. 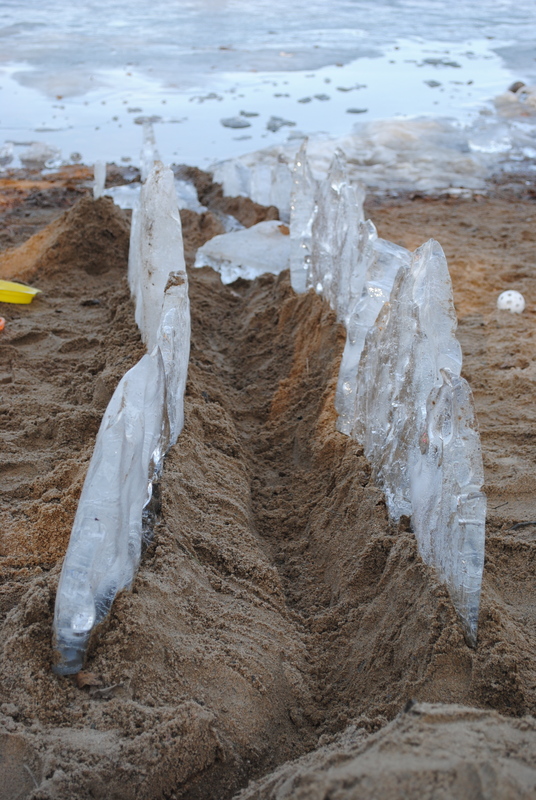 I don’t know if I will ever have the chance to use ice in my sand castle building endeavors but it was great.